Not Feelin’ It? Try these 5 Motivational Boosts. 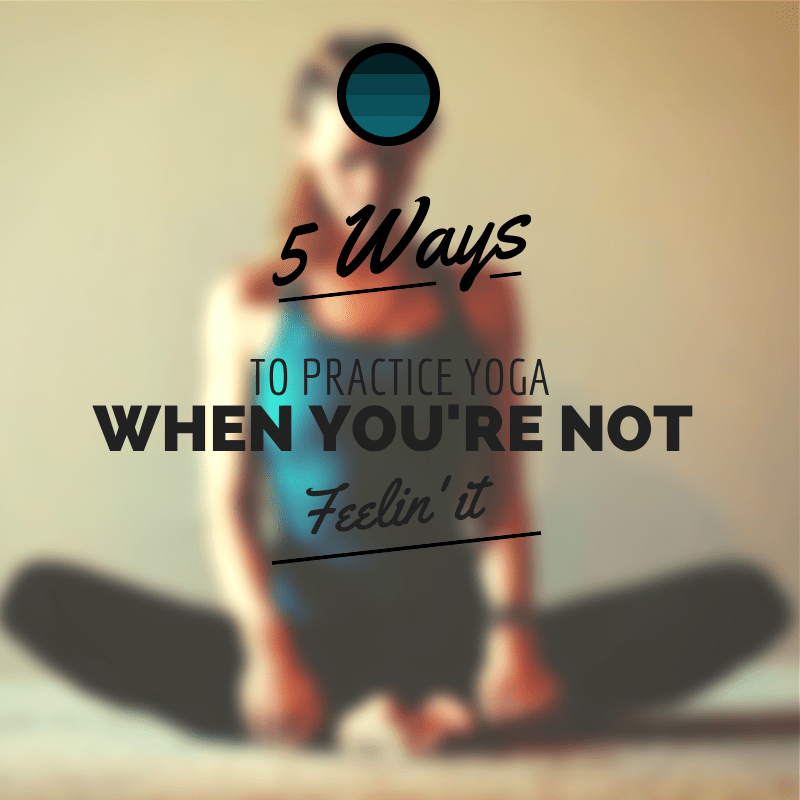 So – how do we practice yoga, when we just aren’t feelin’ it? 1. Take a deep breath. Yoga started with simple breathing techniques. So why do we feel that we always have to do a handstand and a bind to practice yoga? Psh! All you need is a little pranayama and you’re good to go. What I love about breath is that it creates space within our bodies and our minds. When you practice these techniques (bee breath is my favorite) – you create the space for a fresh start, which is really what we need. 2. Rest. Yep, savasana is yoga. A lot of times we assume we have to do an entire practice to “deserve” it, but that’s just not true. You work hard at your job, being a parent, planning your day, …whatever your story it. And sometimes your body and mind just need to balance all the effort out with all the ease. So…take a nap. Veg on the couch. Turn off your phone. Hide in the closet. Just shut down for a few minutes. 3. Go on a walk. Nothing like the fresh perspective of going outside and simply putting one foot in front of the other. Just move your body a bit. It doesn’t have to be fancy to be yoga. If you have a pup, even better….take em’ with ya! My dogs always remind me to enjoy the little things. They get excited about every tree, every car, every gust of wind. It cracks me up. 4. Practice speaking truth over yourself. In other words, find a mantra that you need to hear. Something that you need to remind yourself of. Perhaps it’s “I am loved.” or “I trust”….just find something that resonates with your spirit. What does your soul need to hear? 5. Make a gratitude list. Naming the things you are thankful for is an excellent way to rediscover your passions, your values, your true self. Nothing helps me refresh my mindset and really set an intention like saying “thank you”. Try it!